You don’t have to just put paintings on the wall. Why not be creative and use one of these projects for wall display? I think this wall display is just as cute as can be. 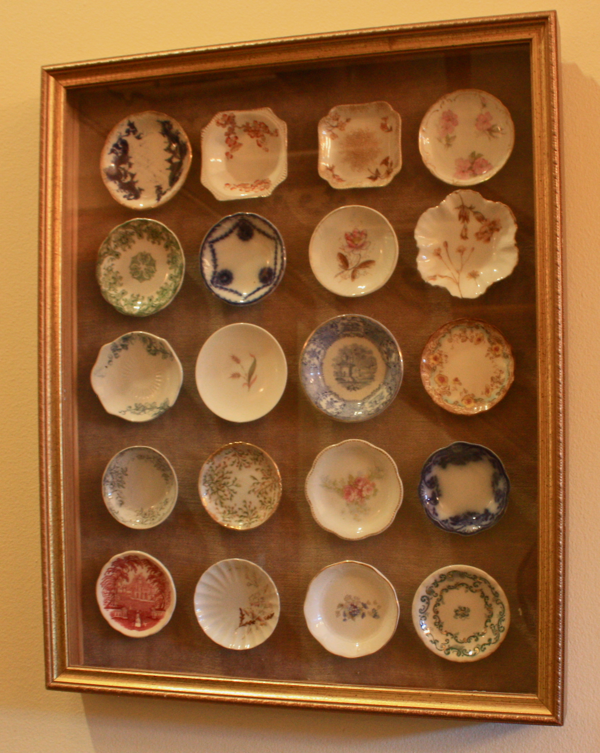 Just odds and ends of small saucers gathered into a collection for the wall. 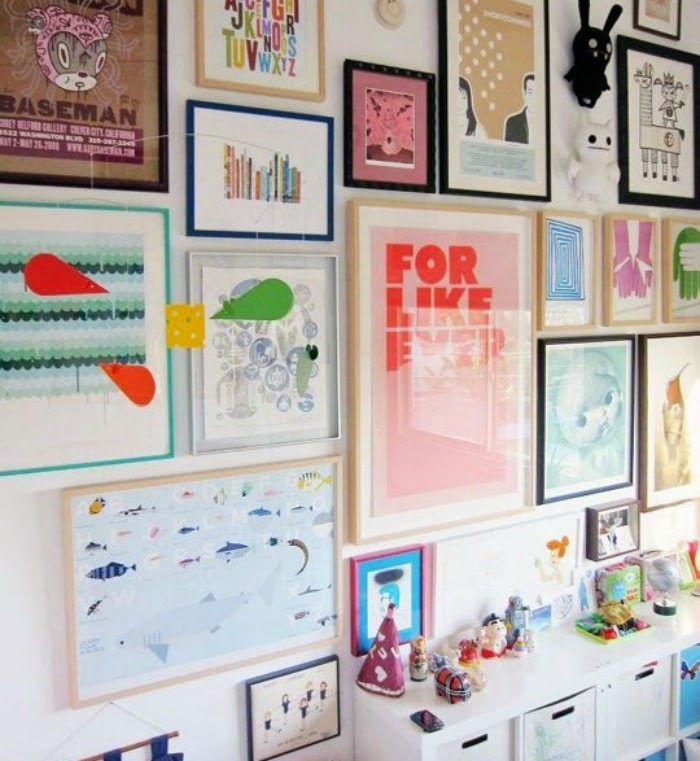 Right now it would be remiss to even mention wall displays without adding a gallery wall. They have become very popular in the last few years, and show no signs of slowing down. This clever individual, possibly a photographer, took a drawer and turned it into a shadow box. It’s filled with all things vintage photography. 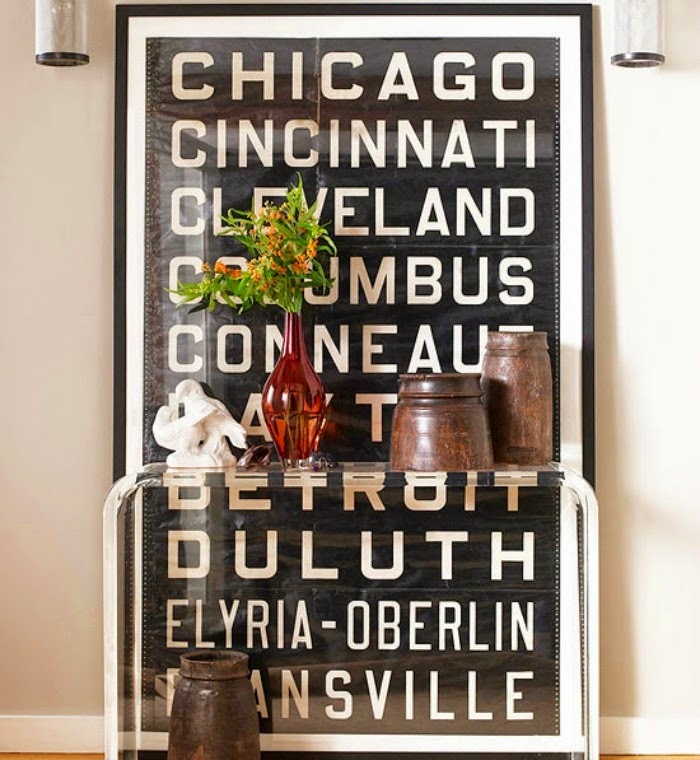 Dig through flea markets and antique malls for vintage hangings such as these. Botanicals are a hot commodity right now. What a cute tribute to all things sewing. Wouldn’t this make a great homemade gift for the sewer in your family? 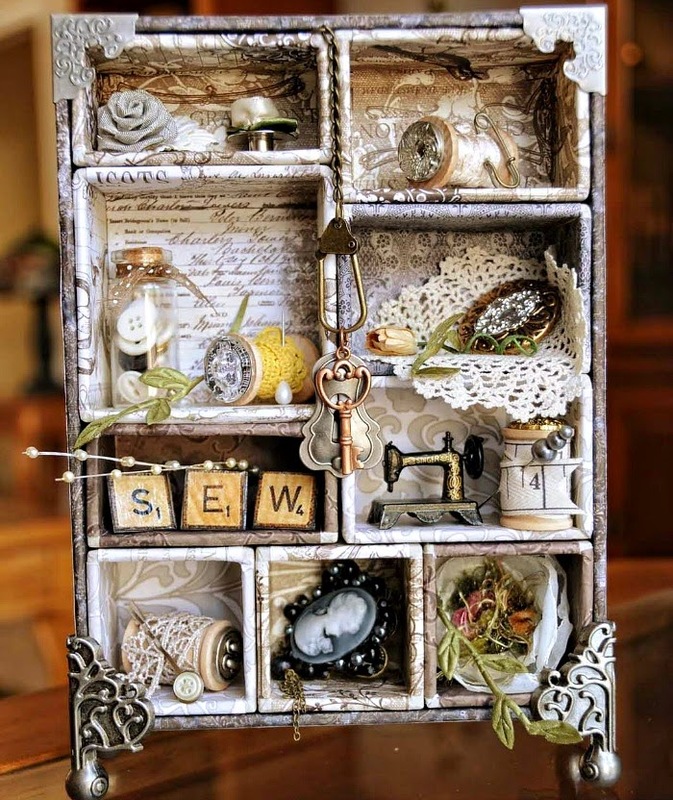 A version of a shadow box with covered mini boxes tucked inside. With decorative hardware added to the corners. 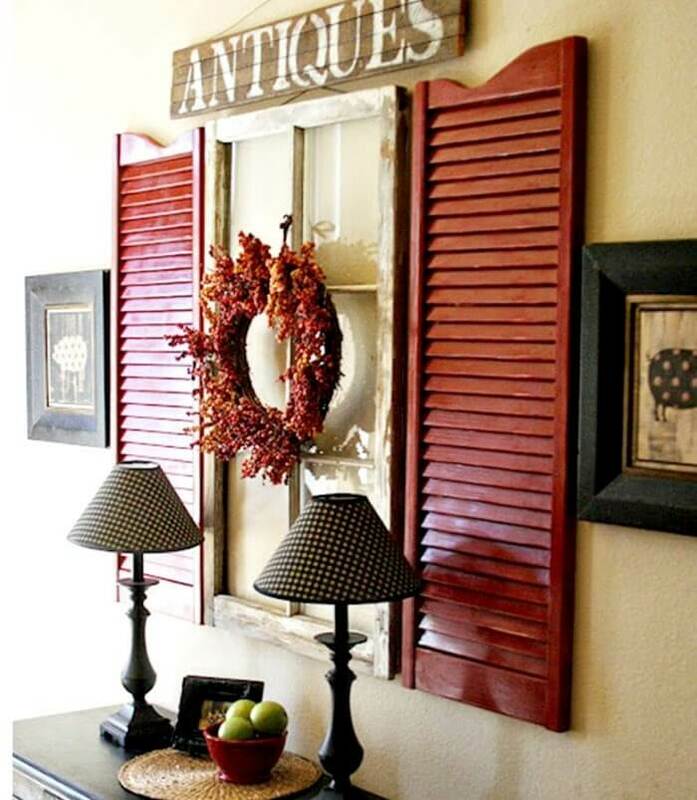 How cute is this idea to use shutters and an old window to convey the sense of looking outside. If your room lacks windows, this would be a nice alternative. This is a fun way to create a collection for a wall. Use fabric to cover various sized pieces of canvas. And then unify them all with black frames. Another popular idea is to take book pages and print images on them. This one would be perfect in a kitchen. Typography in any capacity is hugely popular right now. This one really makes a statement. It reminds me of a sign found in a train station or subway. 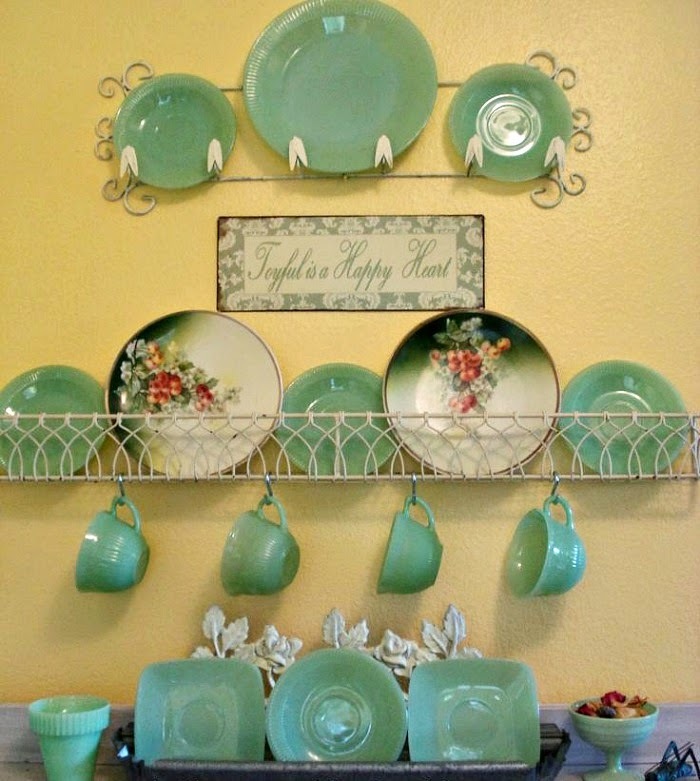 Another look that has been popular for awhile is arranging plates on walls. This photo shows a Jadeite collection. The combination of displaying it on the wall, and then adding a vignette below, is very appealing. 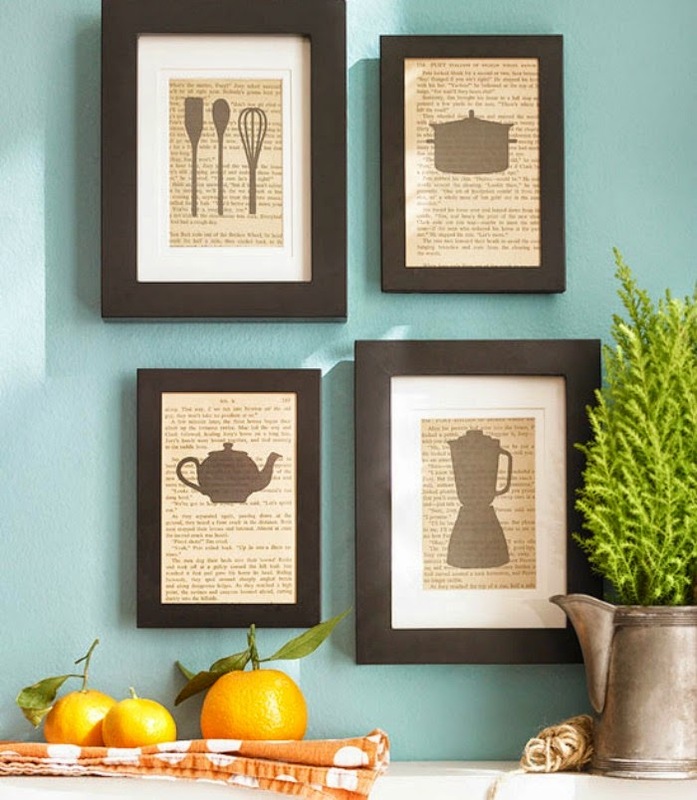 So go forth and create a gorgeous wall display! I like the jadeite and the little saucers best but they are all very nice and look not so hard to do.. Boy sure love that last one even though I'm not that big into Jadeite. Sorry to hear you are having pain with your ankle. I don't get that whole app thing too. I don't have an android. You know how dentist use to call to remind you of your appointment? Now I get an email… now I have to be on the alert from an email from them? I sure hope your therapy goes well and you can get back to a closer normal! I loved seeing all of these different wall arrangements. Such great ideas! Thanks for sharing these with us, Brenda. I'm recovering from back surgery and was lucky in that a physical therapist came to my house the first 2 weeks I was home from the hospital. I wish that you could have therapy at home too. It is so much easier. 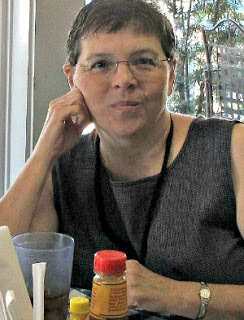 You take care, Brenda, and I pray and hope for good healing for you! And I think a sticky strip for the flies is the way to go. I feel so bad for the pupsters being so scared of those darn flies! I love the first pic with all the little saucers in the frame. The Jadite is so lovely too. 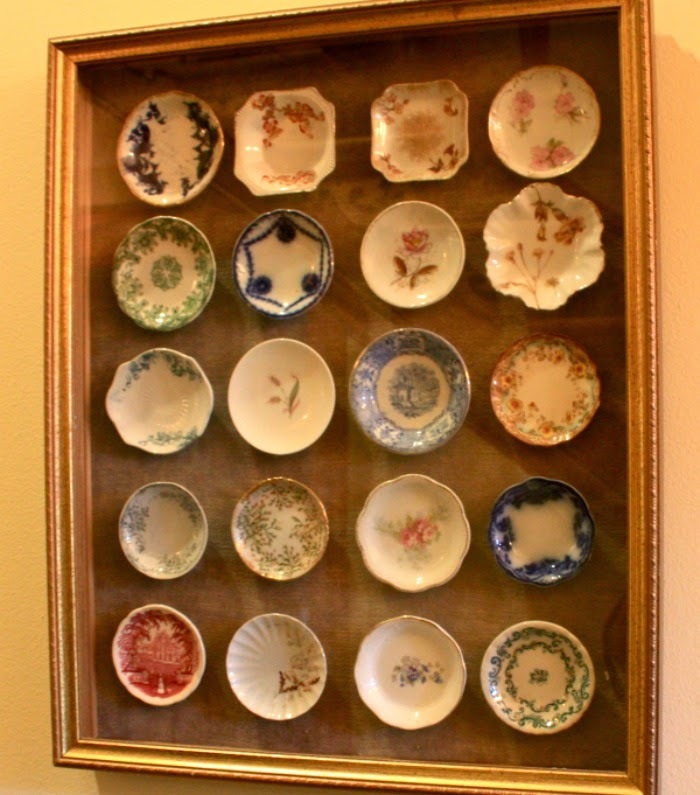 I just did a post today on adding some plates on the wall in my dining room. Hope your feeling better, stay warm! What great wall decor! I still want a gallery wall one of these days. The little saucers (or butter pat plates) are so cute framed like that. I love unique ways to display my collections. You always share great inspiration photos with us! I wanted to switch up my kitchen from my cherry motiff to jadeite. I did some research on jadeite and basically I would have to have Martha Stewart's budget to purchase just a few dishes. (She has a massive collection) I will leave it as is for now. I love gallery walls. I have one planned for Tim's room/the guest room using his black and white photography. I like the pics you posted here…especially loving those framed saucers. Love these all Brenda. That first one is all butter pats or salt dips! They are about 3" and are so cute! I love the way the owner framed them. Also loving the Jadeite! Oh, look at that Jadeite! I love that! I have a post up today about my dining room and my wall of china display! These are some really cute ideas! Hope all is well. 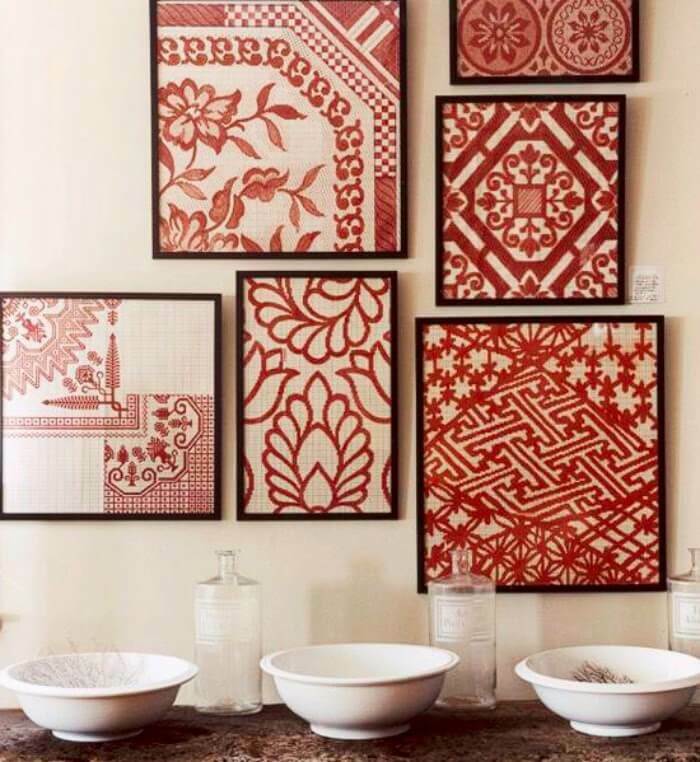 Great ideas for wall displays. I especially liked the way the little butter pat saucers were displayed. I have several little butter pat plates and need to get busy and find a cute frame for them. Love all of the beautiful galleries and displays…I especially love the one with the vintage cameras…Have a great weekend! These are all wonderful ideas. I have actually tried the shutter idea, but with cafe doors instead of shutters. My old window turned out to be too short for the doors and it doesn't look right so I'm still looking for another window. I love the little saucers and also the drawer turned into a shadow box. Hope your ankle is getting better! Take care. I love all the inspiration here. 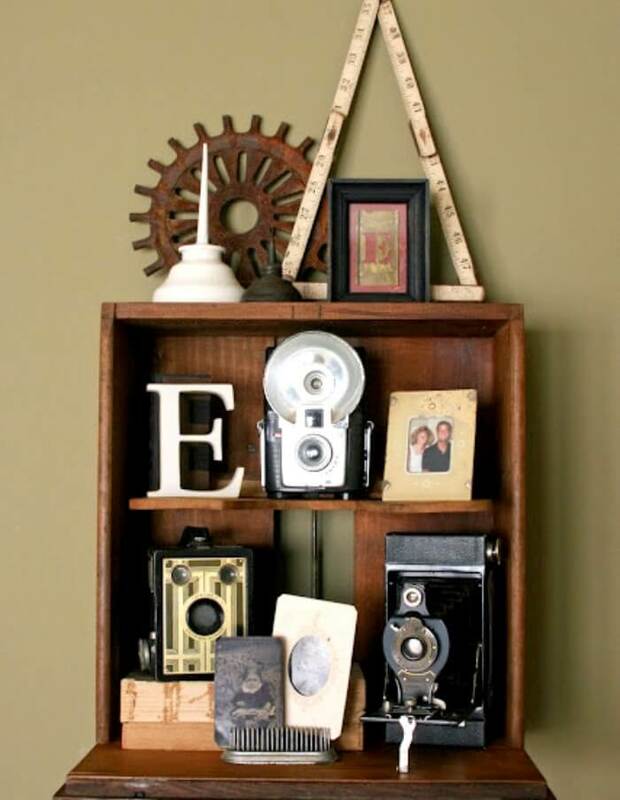 Love that vintage drawer being re loved as a shelf with the vintage cameras and pictures. Super sweet. I have a plate wall in my dining room with an old chippy barn door. Love to bring life to the walls with unique pieces. Great post. 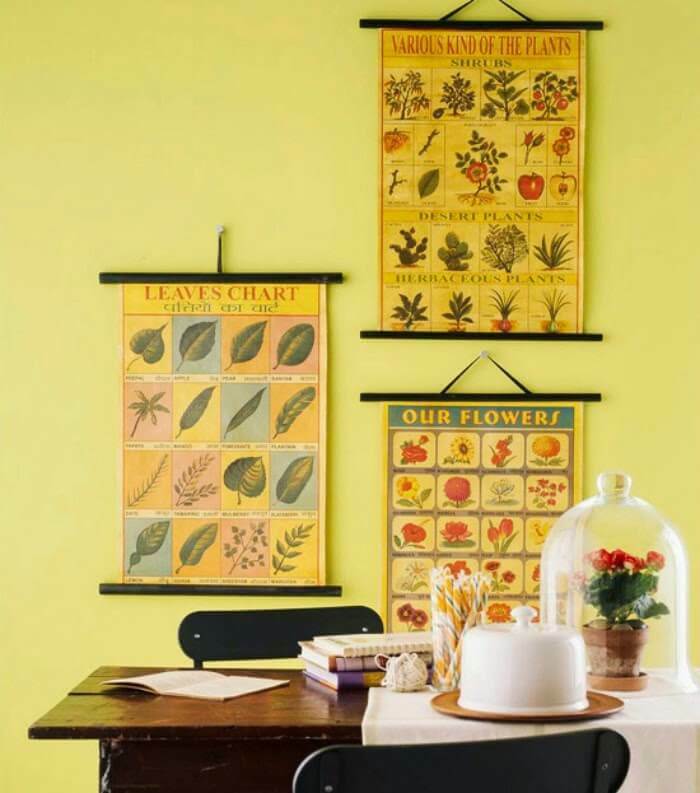 That was a very inspiring post… I have a wall in the dining room where I can't put any any furniture or we won't be able to move around the table anymore and it's looking a little bare, so it needs a cute wall display!